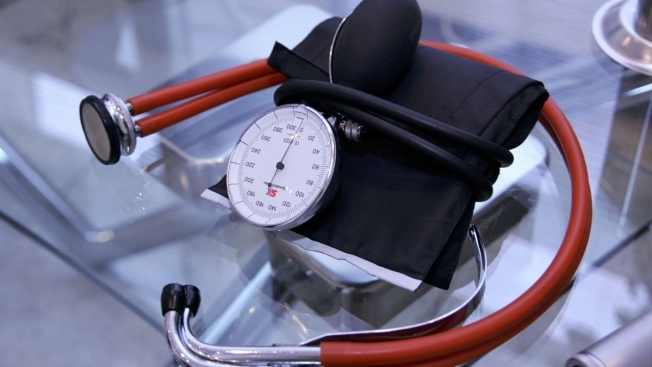 A stethoscope is seen at a doctor's office in this file photo. The day-to-day challenges for the homeless can be overwhelming. The struggle to find food, shelter and a safety can consume the whole day, allowing important things, like health, to be neglected. Torrance Memorial Medical Center has partnered with Community's Child to provide free health screenings for homeless residents on Saturday. The fifth annual health fair will run from 8:30 a.m. to 4:30 p.m. on the Torrance Memorial campus. Nurse, technicians and lab professionals will be on hand to screen for a number of conditions that are commonly found among homeless individuals, like anemia, diabetes and hypertension. This year, the event will also include preliminary eye exams, along with 100 vouchers for full exams and glasses. A total of 225 people were screened at the fair last year, with a quarter them testing positive for anemia. The hospital was then able to refer those patients to the proper resources for treatment.